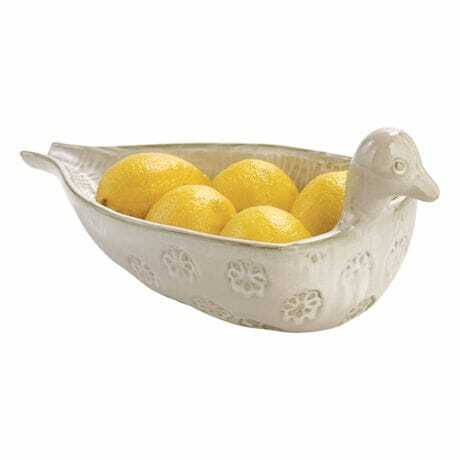 Shaped, glazed, and embellished by hand, this bowl is a charming presence in your home. Made of terra cotta, it's scored on the inside, stamped with flowers on the outside, and finished with a whitewashed glaze. About 14" long, 6" high, 7" wide. Not food safe.